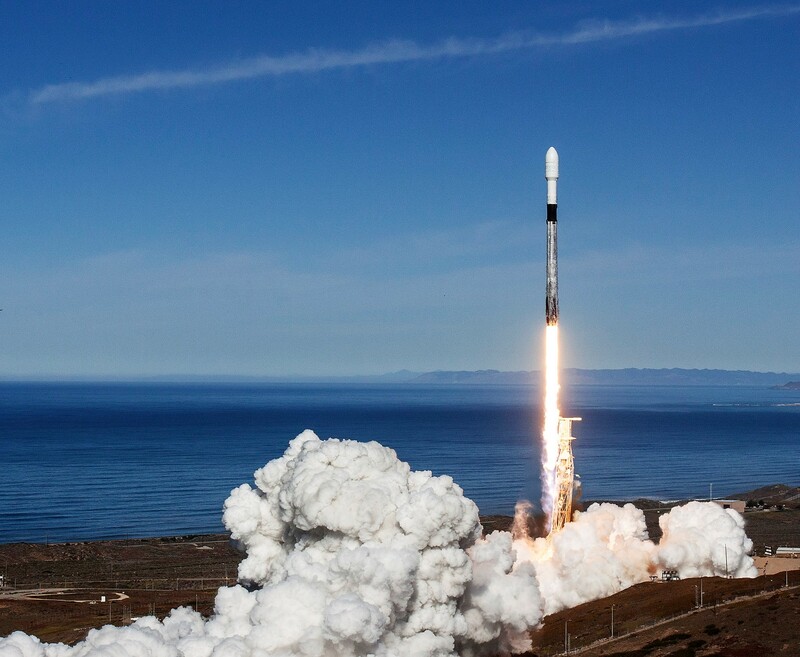 SpaceX’s Falcon 9 rocket launched Seattle-based Spaceflight’s first-ever dedicated rideshare mission, a satellite extravaganza aimed at placing 64 spacecraft in low Earth orbit. Today’s liftoff from Vandenberg Air Force Base in California came off at 10:34 a.m. PT, sending the scorch-marked rocket into clear skies. The mission had been delayed several times over the past couple of weeks, due to concerns about upper-level winds and the need for more pre-launch inspections. This mission delivered a first for SpaceX as well as for Spaceflight: It marked the first time SpaceX sent the same first-stage booster into space and back three times. This entry was posted in GeekWire and tagged BlackSky, Falcon 9, Satellites, Space, Spaceflight Inc., SpaceX. Bookmark the permalink.